Regretfully, we wont be frying our oliebollen this time around, but many other amazing vendors will be serving up their underground wares. This NITE MARKET should be extra fried-cool cuz THREE WALLS will have art to bid on, Community Supported Art pick ups and more (i’m guessing). 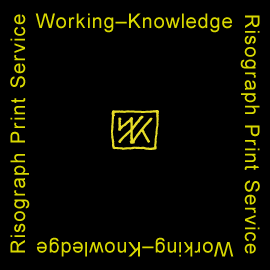 Risograph poster and GIF by Working-Knowledge.